True Wild Life | Deer | The deer is found in the forests of Europe, Asia and North America, where most deer grow to an average of about 1 meter tall. Deer-like creatures are found in Africa, however they are all antelope and not deer. 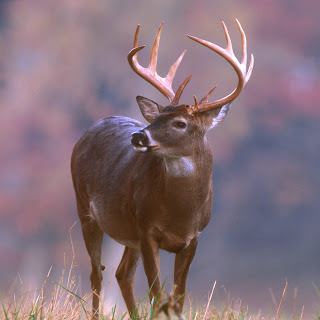 Deer stay in herds of approximately 25 deers per herd, mainly female deer and a dominant male deer known as a stag. 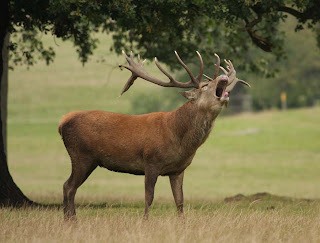 The male deer are protective deer and will often fight other stags to protect their herd of female deer and to protect their pride. The male deer horns shed and regrow every year, a little like the skin on a snake. The only species of deer with exception to this annual horn shedding is the Chinese water deer. There are around 40 different species of deer found in the woodlands of the Northern Hemisphere. There are roughly six different species of deer found in the UK alone, however, only the red deer and the roe deer are truly native to the Isles. 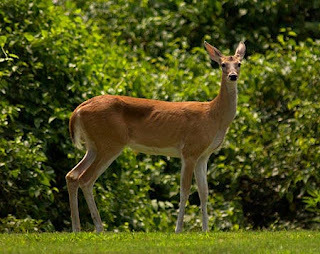 Deer are known as selective feeders and spend most of their time browsing for food with the deer mainly eating leaves. Deer are very selective in what they eat and deer therefore spend a great deal of time picking out the shoots, leaves, grasses and fruits that are easy for the deer to digest. Humans have hunted deer for thousands of years and hunt the deer for the deer meat, milk and skins. Today, deer are commercially farmed for their meat, rather than being hunted, and in New Zealand alone there are over 3,000 deer farms across the two islands. 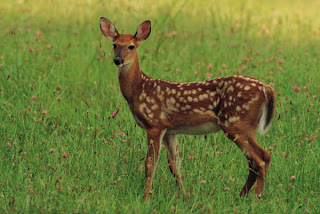 Due to hunting from humans and other large predators, and the continued loss of the deer habitat, the wild deer are becoming very vulnerable and are being pushed into smaller areas of forest that is uninhabited by larger mammals. Deer are prey to many wild animals around the world from humans, to wolves, tigers, bears and occasionally foxes, and many other mammals will attempt to scavenge from a deer that has been killed by something else, seeing as many deer species can be quite big and are fairly fast. thank you such a nice blog so help full.. This is wrong as deer do not grow horns they grow antlers if you are going to put facts up at lease get them right !!!!!!!! Coolish website. . .I guess. . . I would have *loved* to edit it. . . There were a few mistakes. . .
Who cares if they made a simple mistake? At least they took the time to create this blog. this is horrible! a 10 year old could write better! Nice collection. My son always like this. first i would like to say this is a great blog post.feel free to come to our blog also. Beautiful deer photos. Good selection; and thanks for the helpful info! THIS DOESN"T HELP AT ALL PLEASE PUT MORE INTERESTING INFO!!!!!!!!!!!!! What a beautiful deer !! !